A true Scottish classic. Elegant tartan sash in beautiful , crisp Dupion silk . Hemmed and fringed. Rich, sharp colours in more than 60 silk tartans. Perfect accessory for special occasions and Burns Night. See also 'Wool Sashes' for another 500 tartans. A true Scottish classic. 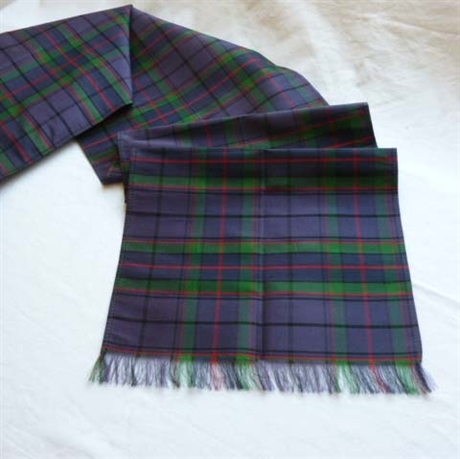 Elegant tartan sash in beautiful , crisp Dupion silk . Hemmed and fringed. Rich, sharp colours in more than 60 silk tartans. Perfect accessory for special occasions and Burns Night. See also 'Wool Sashes' for another 500 tartans. Each one made to order, ALLOW 2-3 Weeks. Pair with Man's Bow tie and Necktie.